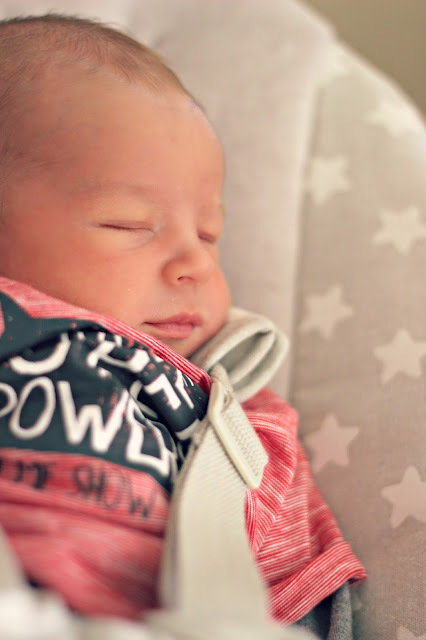 Having been a big fan of swings when Darcie was a baby, I knew that a swing for Henry would be high on the list of items to get when we were awaiting his arrival. 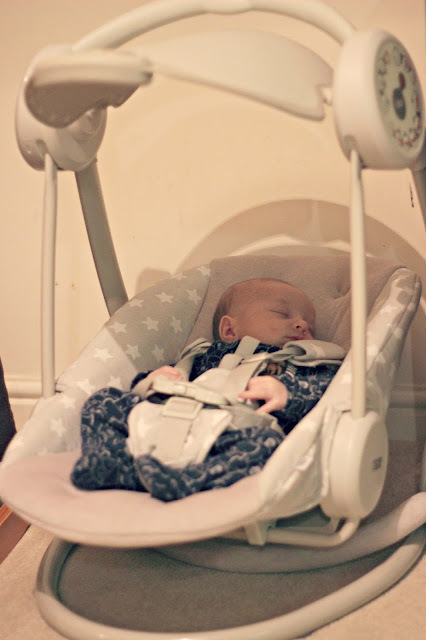 A swing can entertain baby or help relax them whilst they snooze, allowing you to get on with house work etc. I did a lot of research into various different swings on the market, I knew I wanted a natural coloured swing (I'm not a fan of brightly coloured items) and not one that was blue (I made the mistake of getting Darcie a pink swing!). Plus I wanted something that would stimulate him as well as soothe. 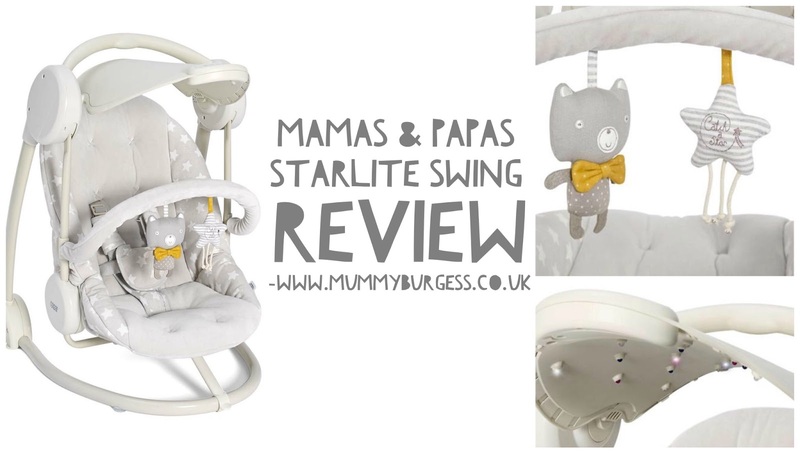 Enter the Mamas & Papas Starlite Swing (£99.00). The Starlite swing is a really lovely design, one which would suit both boy and girl, making it a perfect investment piece if you're going to have more children in the future. The swing has a light show canopy above the swing which amazes Henry when it catches his eye. At the moment we don't have the bar attached with the toys on as he is too little at the moment, but I'm sure he will love them too. The Swing includes five motion settings at various speeds and works on a timer, which is great as it saves on the batteries! It also has a choice of lullabies, which Henry loves, but they to drive me a little crazy at times. Thankfully the swing is MP3 player compatible if I fancy introducing Henry to some "decent" music! Something else that I love about the swing is that it can be folded down easily and is very compact. Great for storage or if you're taking it away with you. The only negative about this swing is that it is powered by batteries, six in total, two different types and it does drain quite quickly. So something to bare in mind when buying (as I didn't realise when I purchased!). Other than that I really can't fault the swing, it is pricey but really is beautiful. Henry has been happily sleeping in there now for the last hour giving me some well deserved me time. Which is exactly the reason I bought the swing! What are your must haves for a newborn?